ZTI JSC was established in 1959 in the city of Pernik. The factory develops and manufactures a wide range of semiconductor rectifiers for starter and stationary batteries (including traction batteries). 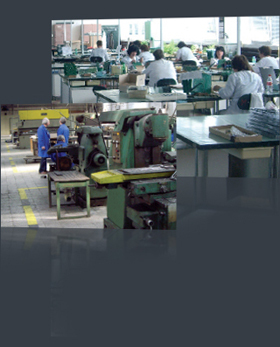 The production of ZTI JSC is a joint effort of the collaboration between the specialists from the firm of ‘Technical University - Sofia’, ‘CELHIT - BAN’, the institute of ‘BALKANCAR’, all Bulgarian manufacturers of accumulators, ‘BALKANCAR HOLDING’ and representatives units from ‘GERMANOS’, ‘VARTA’, ‘HOPACKE’ and ‘SONNENCHEIN’. They have been tested in the laboratory of ‘ELECTRON PROGRESS’ - Sofia. The devices meet the European standards for electrical safety and electromagnetic conformity, as well as the requirements of the standards for storage batteries BDS 5845-82 and DIN 43536A, and they are tested under BDS 4329-88. The company products are certified by the National Federation of MOS ‘CERTIUM’ - Russia; MAK Scientific and Research Institute of Ukraine; OS ANO ‘BAASS’ - Russia. Responding to the high market requirements, ZTI JSC has introduced the EN ISO 9001-2000 (as of 2004) Quality Management System. In 2005 ZTI was awarded a Gold Medal during the International Plovdiv Fair, the biggest exhibition for industrial devices in Bulgaria with the strongest foreign participation. As of 27.02.2007 ZTI has adopted a NCAGE code for producer and supplier, according to the codification system of NATO. • Rectifiers with special purpose for the needs of the Armed Forces, mainly for Marine and Land Forces. Energia, Monbat, Elhim Iskra, Dimex Trading, PТК Car M, ITM Product, Balkan Car Holding, Bulgarian Armed Forces, Bulgarian Telecommunication Company, companies from the public and private sector in Europe and the countries from the former Soviet Union.